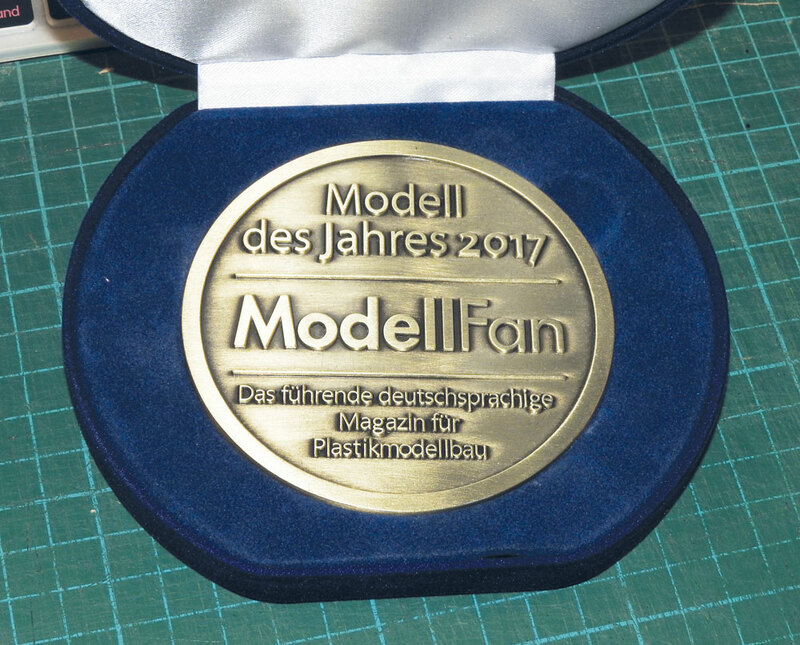 I am very, very proud to have received this prestigious award from ModellFan magazine. 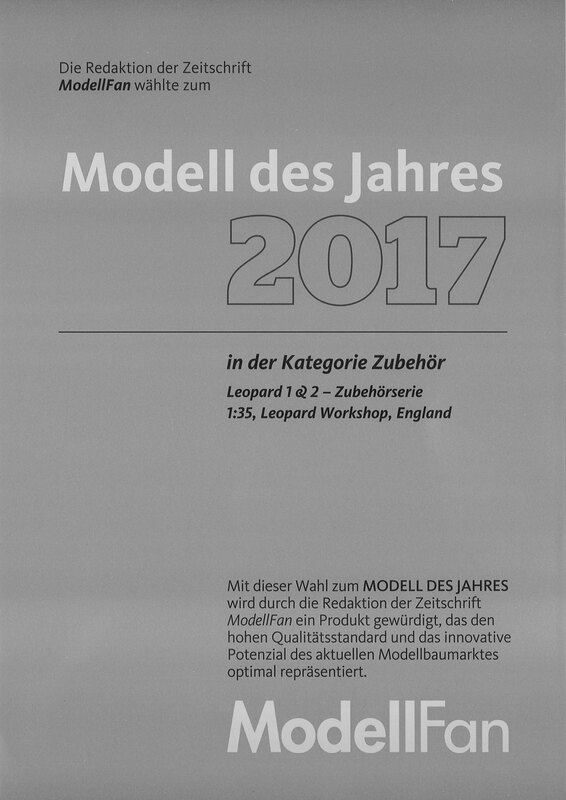 To see Leopard Workshop's name on the list of 25 winners alongside names like Airfix, Eduard, Tamiya, Meng, Takon, etc. is a huge honour. 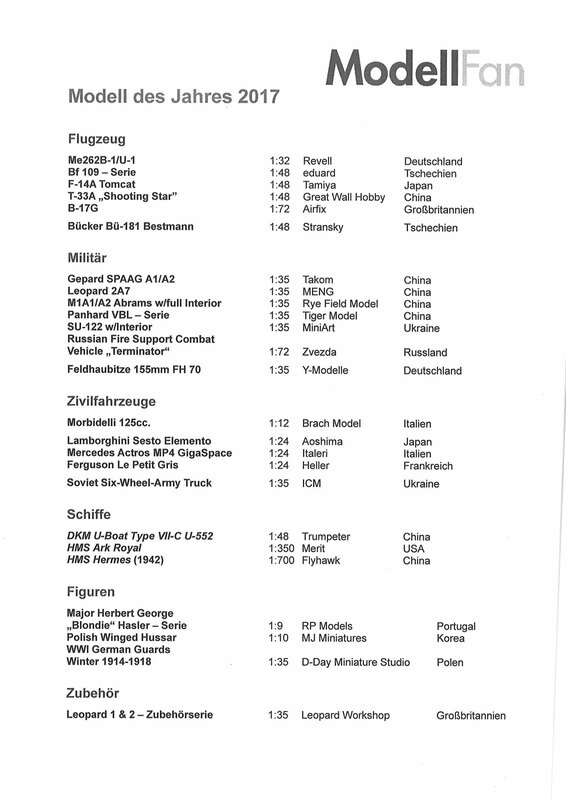 "It is given for the Leopard 1 upgrade/update sets as well as for the Leopard 2 A6M+ conversion. These sets bring useful additions and upgrades to model kits, they are not over-engineered, affordable - fits into the criteria of model of the year."